Last week I was eating lunch at a local Chick-Fil-A when I noticed a young women with Down syndrome working at this particular location. (As a parent of a child with Down syndrome I’m hyper aware anytime a see someone with Down syndrome, especially when they are working. It encourages me!) As I was getting my lunch I overheard another employee ask her to wipe off a huge stack of plastic trays and place a paper tray liner on them. I sat down to eat my lunch and watched as the women with Down syndrome faithfully preformed the task assigned to her. I started to think about my own son. How I deeply desire for him to do something “meaningful” with his life. Something more “important” than wiping off plastic trays. I confess that I sometimes have a very small minded view of what it means for one to do something “meaningful” with ones life. Having “meaning” doesn’t mean you have to be a doctor, or a lawyer, or a pastor, or wear a suit everyday to work. No, meaningful work is something much deeper than that. Did you catch that? Meaningful work means that you have meaning or that you have a purpose as you work. It’s not about your specific job description or tasks assigned to you – it’s about you! No matter what you do in life, if you wake up everyday with a purpose, your work is meaningful! It doesn’t matter if you’re wiping down plastic trays, or preforming heart surgery – you can determine if your work is meaningful or not. Your meaning doesn’t come from what you do, it comes from who you are! The question you have to ask yourself is, “Why do I do what I do?” Why do you get out of bed every morning and do what you do? If you say, “for a paycheck” I want you to think bigger than that. I want you to ask yourself why do you do what you do? Answer that question, then wake up every day and live that out! For the girl with Down syndrome working at this Chick-Fil-A I bet she would say something like, ” to contribute to society,” or to “show the world that people with Down syndrome can work just like everyone else” or something to that effect. Her work is extremely meaningful. Every day that she goes to work she has go deal with people starring at her, or talking down to her, or maybe even being afraid of her because they have never met anyone with Down syndrome before – yet she does it. She shakes off all of that, goes to work, and her life (and work) has great meaning, no matter what “task” she is doing. Answer the question of “why” and not “what” and you’ll find much more “meaning” in whatever you do. 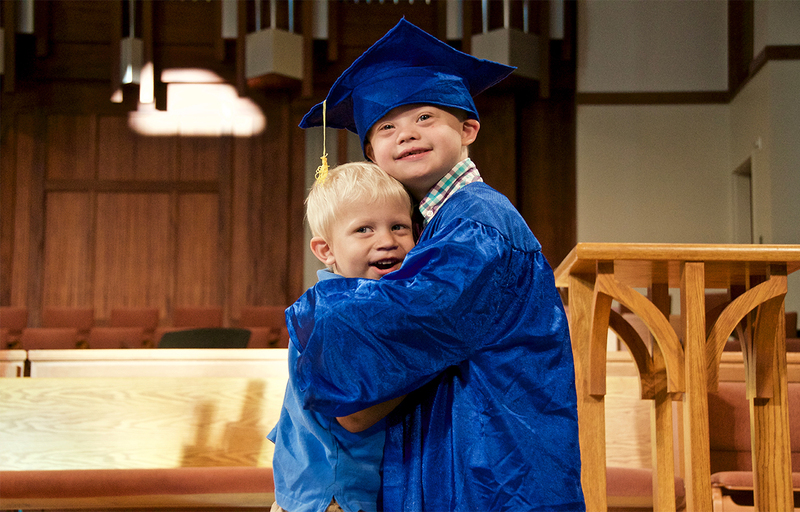 Noah’s Probably Not Going To Be a Doctor, Or a Lawyer, Or an Astronaut…and That’s Ok.
Noah has Down syndrome, and one of the characteristics of Down syndrome is cognitive delays. 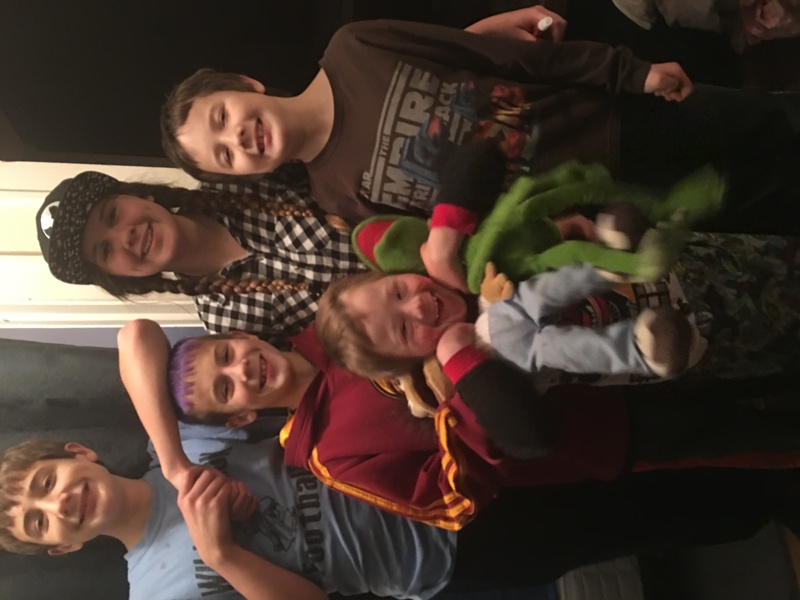 Unless there is some medical miracle in Noah’s lifetime that helps people with Down syndrome with this, his cognitive ability will more than likely prevent him from becoming a Doctor, or a lawyer, or an astronaut. Sometimes we say things like, “He can do anything he wants to.” As nice as that statement is, it isn’t true. It’s not putting a limit on Noah, it’s defining reality. Don’t get me wrong, if he really wants to try to become a Doctor, I’ll stay up with him and help him study for the MCAT every night, all night – that would be awesome! The truth of the matter is, he may end up working at Chick-Fil-A, at a car dealership, or at one of the many other companies that hire people with “special needs.” As long as he goes to work every day understanding that his purpose doesn’t come form what he does, but from who he is, I’m good with that. In fact, at only 6 years old, Noah’s life already has tremendous meaning, purpose, and impact. He reaches people all around the world through this blog, our Facebook page, and Instagram as he shows the world what life is like raising a chid with Down syndrome. To the girl working at Chick-Fil-A, thank you. Thank you for working hard and for showing the world every day just by your presence that people with Down syndrome are capable of working just like anyone else. Thank for probably putting up some ignorant people every day who say rude things (both knowingly and unknowingly.) Thanks for reminding my idea of “meaning”is pretty small sometimes. Thanks for paving the way for children like Noah to have jobs as they grow up. I don’t know you, but I appreciate you. To parents of children with Down syndrome, or other “disabilities;” how do you feel about the future for your children? How do you feel when you see someone with “special needs” working at a company that you’re doing business with? Leave a comment below and share your thoughts! Thank you for posting this Rick. Now off to revaluation my purpose for my work!!! You’re welcome, and keep on keeping on! I love work. I love having a task, understanding that task, doing it well, and feeling satisfied when it’s done. I do so many things every day in life that may seem meaningless….wash the dishes, fold the clothes, sweep the floor etc. I feel good doing it and I feel great when it’s done. It’s about your mindset and your outlook on life and work in general. I work with high school students who are on the autism spectrum and who have Down’s syndrome. My favorite part of my day is teaching and doing vocational work with my students. They love it and I love it! Wow Cindy! It’s pretty clear how much purpose and meaning your job has! Way to go. I work at a school for adults with developmental disabilities, that also has a supportive employment program. The joy on the faces of the participants when they get a job is incredible. If they are folding napkins, wiping tables, or just helping, having a job makes them feel worthwhile, a contributor to their own well-being, a contributor to society. Every job is important to that person, and to that business, no matter how trivial it may seem to others. That young lady at Chik-Fil-A is working to earn her own money – making her feel that she is contributing, no matter the job. So true! Thanks for all you do, Kathleen. I am very positive about my sons’ future. Like you I want to encourage him to do whatever he wants and not limit him. I am encouraged when I see a teenager or adult working. As a new parent, I want to say something to them or even if they are out with the parents, I want to say something to the parents but i feel awkward. I want to cheer them on and high five them all. I think your post was awesome…: I love Noah & your whole family. I’m realizing now that my Uncle Tim probably had DS ….. He passed away many years ago…. but I am so glad for Noah & others with DS, that we live in a time when people are better educated about it. See, my Uncle grew up in the 60’s & 70’s…. in the country. Back then, they just labeled everyone the same…. Retarded or mongoloid…. it was awful. But my uncle never went to school and rarely, if ever, was made to even go to the Doctor. Anyhow, thank you for sharing your life and family. God bless. Thanks for the kind words, Kim. I love your blog!!!!! I am the aunt to a precious baby girl that has downs, I keep up with all the latest information I can find, and I share it with her parents and her grandparents. You helped me get her birthday/Christmas ( she is a December baby). My mom is the one who frets the most because she wants her to be able to take care of herself when she gets older and not get taken advantage of. Please keep sharing your life with us, I thank you and may God continue to bless you, your wife & Noah!!!! Thanks for sharing, Rick and I am praising God that the young lady at the Chik store showed you that there can be joy in work. My friends, for the most part former students, just love their work. Some are at the Work Shop and some at a Recycling Center. They take joy in whatever their work is supposed to be. Thanks Dorothy, and thanks for all that you do. Beautiful – thanks for all you do! We know our son is wonderful, too, know matter what work he does. 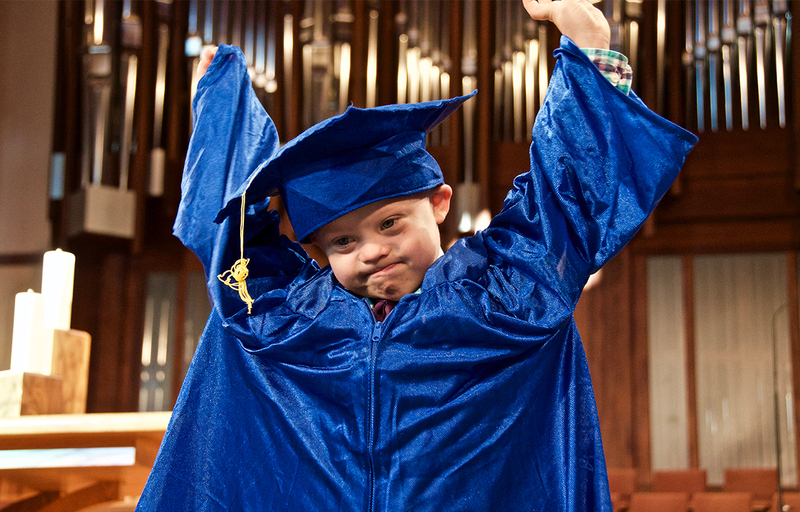 He is just as valuable as others, and we hope we are showing in our community how people can be blessed by knowing someone with Down Syndrome. I’m thankful for people who hire them, and enjoy seeing their smiles as they work. You’re very welcome, Katie! It sounds like you guys are great parents. Keep it up! I work with adults that have special needs. I’m the supervisor of supported employment and oversee the department that works to support people with special needs to work in the community. My employment training specialists get to know the person, looks for a job that matches their interests and abilities, teaches them their job responsibilities and then gives them their independence, sometimes for the first time in their lives, so they too can be a contributing member of their community. There is no feeling that bets the happiness of our people when they get a job and are accepted as one of the team. It’s true that there are some limits as to what our people can do as a career, but there are no limits when it comes to how invaluable they are at their jobs. They are usually more dedicated to the work they perform, more reliable, more trustworthy and more satisfied and loyal to where they work than their non-disabled co-workers. Although we teach them a lot of things for work and for being independent in the community, there is no doubt they teach us just as much on so many different levels. I’ve learned to never put limits on what our people with special needs can and do accomplish because to do that is to stunt their growth and none of us has the right to stunt anyone’s growth. Life is about living to be the best person you can be and to help those along the way to do the same. Thanks for your comment and thank so much for all you do! I know that within reason Ben will be awesome at whatever he does because he works so hard at everything he does. He’s an overcomer. For me it is scary when I think about his future meaning. Not because Ben wouldn’t be able to do anything, but more of what he will have to put up with. I dont want him to get hurt and want to protect him. However; I know as a good parent I might have to let go and he will probably get hurt but I will be here to love him, encourage him and help him rise above it. Keep us posted on yall’s journey! As a mother of a child with Down syndrome, I am also hyper aware when I see others with Down syndrome. There’s a man with Down syndrome working at our local Walmart and he’s AWESOME. He talks to Joseph every time he sees him and jokes around that when he (Jerry) is ready to retire, Joe will have to take over and that he better be getting really smart because the work is hard. We talk to our son about what he might want to do as he grows. At age 8.5 he wants to be a farmer or “food worker”. I don’t know exactly what a “food worker” is, but if anyone can be one, Joe can. My husband and I both graduated college and moved 2 hours away from family. So after our 1st child was born I decided to pick up a few waitressing shifts so I could be home with her all day and my husband at night. It worked out well with our schedules. So, after my 4th child was born almost 11 years ago with Ds, (We did not know of his diagnosis before he was born. ) I remember crying to my own dad that I didn’t want him to be a bag checker at the food store…he looked me dead in the eye and said “I did don’t want you to be a waitress but you do whatever it is you need to do!” I will never forget that moment bc everyone wants the world for their child but it’s not always up to us, the parents. Thank you for sharing this. I am expecting and just got the diagnosis. This gave me comfort. I have 5 kids and all I want from every one of them, is to love what they do, and do it well. They should do service for those less fortunate, and be a good and caring person. What they choose as employment is irrelevant, because I don’t care, as long as they follow those expectations and are happy! Thank you for this Rick! We want our baby Sully to live a full and rich life and if that means working at chick filet or anywhere else that makes him happy that’s good enough for me ?? This was an especially encouraging blog post. Thank you for writing! My 18-year-old cousin Abby has a rare genetic condition called Phelan-McDermid syndrome. People like Abby have severe to profound cognitive disabilities and very limited communication skills. Considering all of that, most people assume that there is no feasible way for people like Abby to get jobs. However, there is an adult with Phelan-McDermid syndrome in Australia who has a job with his local post office. With a helper, he is driven to houses and delivers mail/packages on doorsteps all day. He is a valued staff member at his workplace. I am ridiculously proud of him and every person living with Phelan-McDermid syndrome. Wonderful article – I wonder if the girl you’re speaking of is our daughter. She does work at chic -fil-a. You’re right, our kiddos will not become rocket scientists or doctors, but they bring so much to the table with their EQ! She takes an enormous amount of satisfaction in her 2 jobs, class at community college and life in general! we can all learn a tremendous amount about what’s truly important in life from this with special needs!❤ I’m often envious of her zest for life. Hi, thanks so much for your comment! Does she happen to work at the Chick-Fil-A in Plano? I think every one has capability of doing something others won’t be able to do it . I’ve been doing research and I stumbled upon your page. I wanted to say thank you. Your page gave me a lot of comfort & hope. Especially when the mom of the young lady answered & said all of the amazing things she’s up to with two jobs & college. My oldest daughter has Down Syndrome and is almost 30 years old. She has had a fabulous education within the public school. Six months after graduation she was accepted in a group home. She has lived there for 9 years. It was a hard move but what we prepared her for. We just did not expect it to happen so quickly. She works at the county workshop and has had several outside jobs. She is currently waiting for a new home to finish processing. This home will give her more freedom and much more independency. She participates in all kinds of sports with Special Olympics . Stephanie has been & still is an an encouragement to those she is with. I am always running into people who share with me how much they love Stephie. There is so much more I could share of her life. She loves the Lord, likes her work, loves her family (especially sister & brother). I hope me sharing this will encourage and give hope to those of you who are at the beginning of this journey through Diwn Syndrome. Your words brought tears to my eyes because I also have the same thought for my little boy, John Benedict. Just thinking about the future pushes me to be more actively involve in advocating for our kids with special needs. Noah is simply awesome. He is so blessed with parents like you. My heart goes out to those who are not as lucky. By sharing your life with Noah to us and by sharing your post to others, I pray that other kids with special needs will find acceptance and real love in society where they are born. 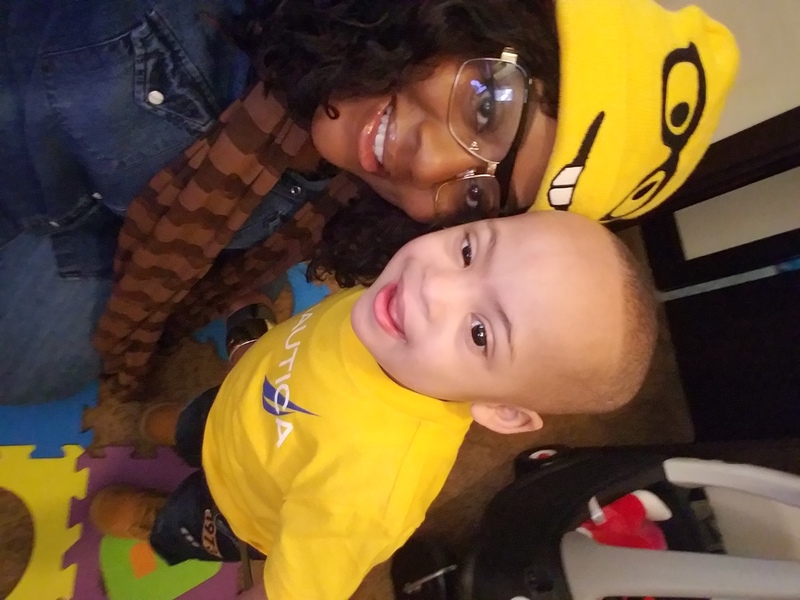 I have a two year old son named Trice who has down syndrome. He is the cutest little thing and he just melts my heart. I do wonder what his life will become as he grows older. I don’t want him to feel that he can’t do what normal people do. I want him to be able to at least try and go after whatever it is he wishes to do. I don’t want him to become his disability because he deserves a chance like anyone else. I feel even at his age now he already has a purpose. Everyone he comes across he shows them so much love and the instantly fall in love with him. I feel his good, loving, outgoing personality, and high spirits touches others. I don’t know what calling God has on his life, but I pray that his disability doesn’t limit him or stop him from becoming someone great. Thank you for sharing your stories, and post it makes it much easier to know that there’s nothing they cannot do! Thank you again. I have a friend who won’t let her daughter with DS work at any type of cleaning/food job because she doesn’t want her daughter treated as “less than.” I feel differently — I don’t think cleaning toilets or wiping trays is below my daughter with DS or me or my typical children. Even though I have a master’s degree and can work in a professional position now, there have been a number of times in my life where my paid job included cleaning the bathrooms. Even now, if the bathroom is dirty, I will clean it. I don’t think any honest job is “beneath” anyone. Even if you are the president, you should still pick up after yourself, right? I appreciate that my tray in a fast food place is clean and I appreciate the person who did it. I want my daughter with DS to be employed in any position she wants to be employed in and is qualified to do, even if it is a cleaning job. Working to earn a paycheck can be very motivational and give us a sense of being needed and contributing. As long as the people she is working for are not looking down on her and singling her out for the cleaning jobs, all is well. Every job helps someone and is important, especially the jobs we consider more “menial.” The president of the company can take a week’s vacation with no substitute, but if the janitor misses one day, we need to find somebody else to take out the trash, lol! I think one of the hardest things for me when we got the prenatal diagnosis of DS was the immediate “limiting” of what my unborn son could grow up to become career-wise. He is the youngest of 5 kids. As my oldest turned 11 recently, I can already look at his personality and interest and guess at some careers he is unlikely to choose. I just don’t see him wanting to be a doctor. But he could still surprise me. I felt that all of the potential was stolen with the DS diagnosis. Over the remaining months of me pregnancy I realized that there were still many many careers open to my son and many ways to have a meaningful life. I work in research at a children’s hospital. Our institution is fantastic in that it stresses over and over again that EVERY employee is an equal part of the hospital mission to save lives. The chair of the surgery department may be the employee spotlight one month followed by a long serving cafeteria cashier the next. It’s quite likely that the cashier will be in direct contact with more patients per year than the surgeon, so the potential for positive impact is huge despite her presumably less extensive education. And happily, our hospital does hire persons with disabilities including DS to help in the cafeteria. Mostly doing cleaning and restocking type work, but doing work that needs to be done all the same. Who knows, maybe my young son will one day grow up to work at the same hospital as me. 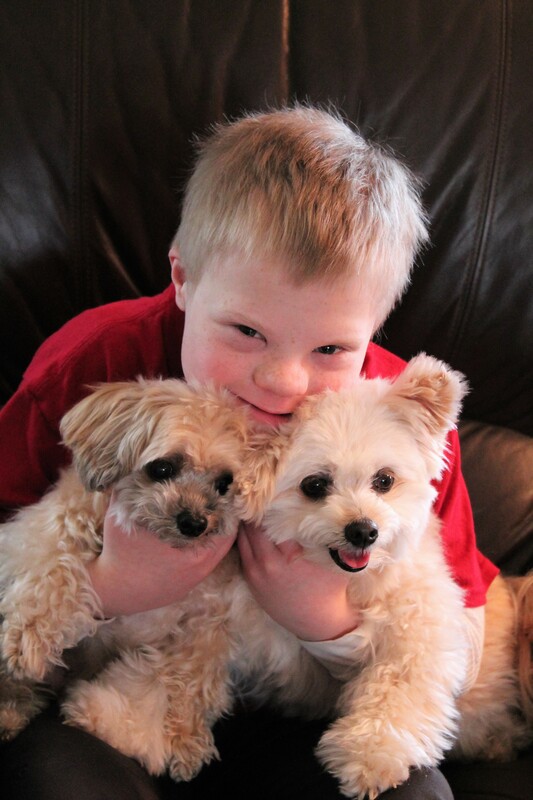 I have been following Noah’s Dad’s blog ever since my grandson was diagnosed with Down Syndrome almost three years ago. It has been something I look forward to from time to time when I want an update. My grandson, Jericho is so loved and he brings such joy to my life. I want him to be happy and proud of whatever he does in his life. My daughter is doing such a fantastic job at introducing him to every opportunity available to him. God bless you and Noah as well as Mom and the rest of your beautiful family. Thanks so much for your perspective and sharing Noah with us. Can’t tell you how much I enjoyed this. I loved this blog because it so inspirational to every person out there. No matter who you are, finding meaning in life is so important. Especially as a parent you just want the best for your child. Want them to reach their highest potential as possible. One day I hope to be a parent, and I will always want my child to succeed in life. I love the quote in the blog when it says,” …if you wake up everyday with a purpose, your work is meaningful.” It does not matter what you do in life, just as long as you feel like you have purpose then that is what matters.